The Mini Stars Table Runner was designed many years ago as an introductory teaching pattern by Judy and Bradley Niemeyer and is a great way to introduce your students to Paper Piecing and Quiltworx patterns. In 2017, we ran out of the original pattern and have updated it, giving it a fresh new look with new foundation papers, instructions, and a new coversheet. The basic pattern is the same. 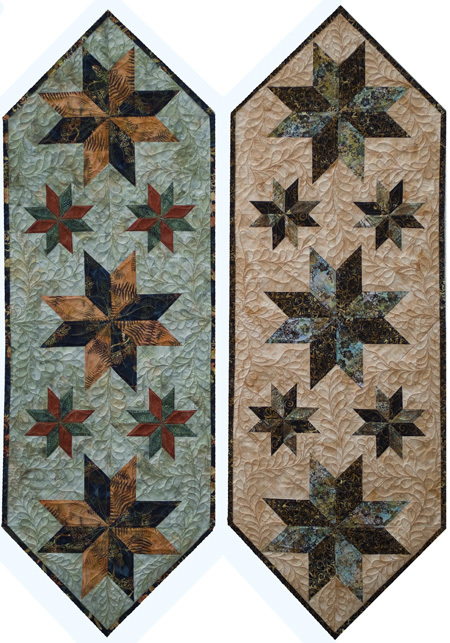 However, to take advantage of changes in design standards such as the incorporation of smart corners, hatching of the blocks, Template Layout Sheets, and an instruction package that will allow you to remake this table topper using Quiltster to pre-select a variety of 6″ blocks designed by Quiltworx, we have updated the design! 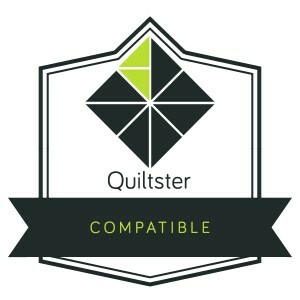 We hope you will appreciate the changes and begin to see the possibilities in using Quiltster as a tool to help you get more creative with our designs! 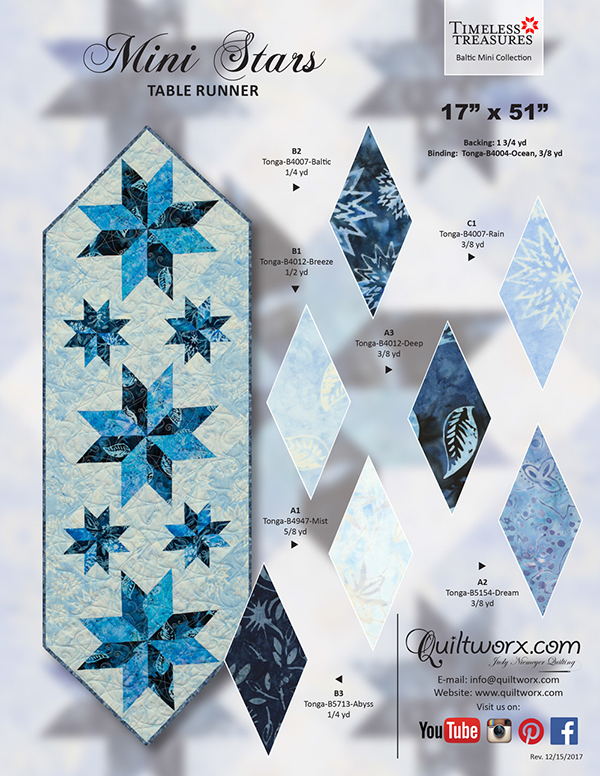 Compatibility: If you have purchased the old instruction set and want to make a new sample, we highly recommend purchasing the new pattern instead of replacement papers. 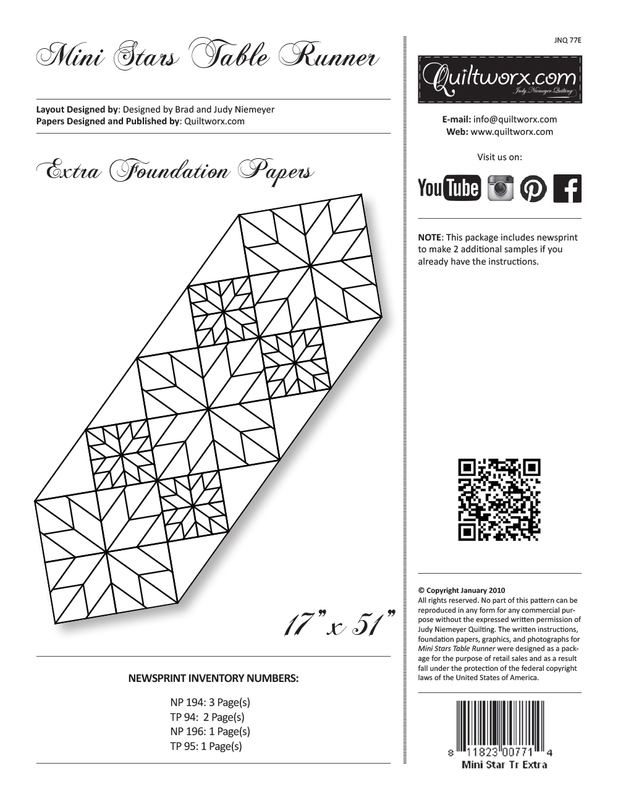 The replacement papers for the old pattern are no longer available and a number of updates have been added to the newsprint including unit name changes that will make the old instructions more challenging to follow. 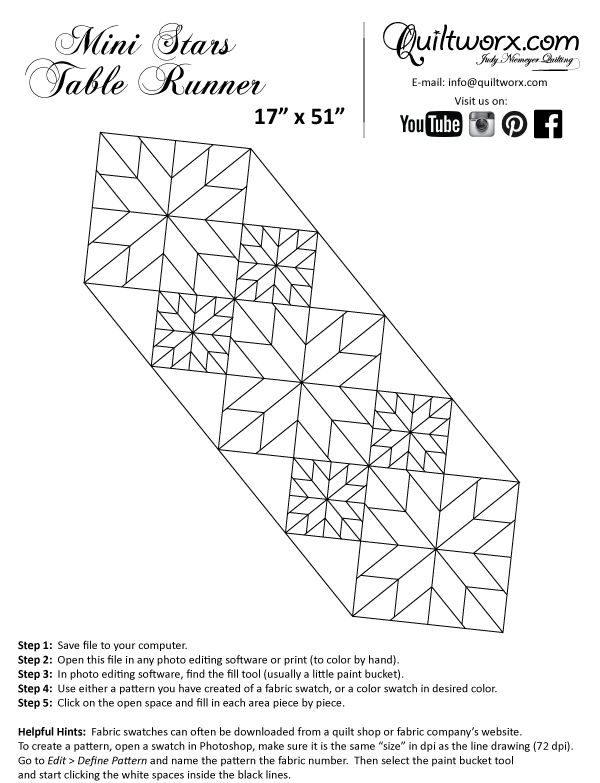 Likewise, cutting instructions have changed as we have now incorporated Template Layout Sheets. Thank you for understanding as we continue to strive for better products and respond to industry desires for product improvements over time. 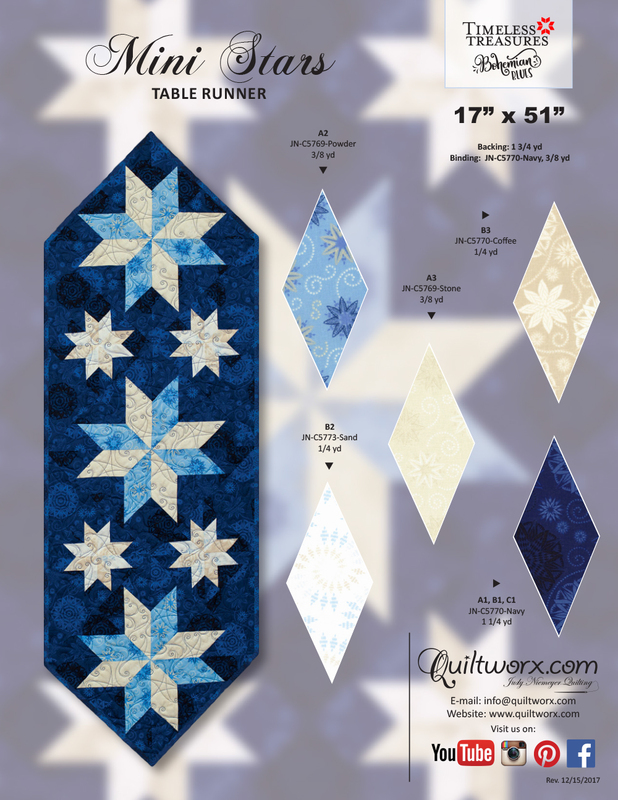 Sorry, there are no classes scheduled for Mini Stars Table Runner at this time.